This occasional or side table was produced by Nordiska Kompaniet in the late 1930s. 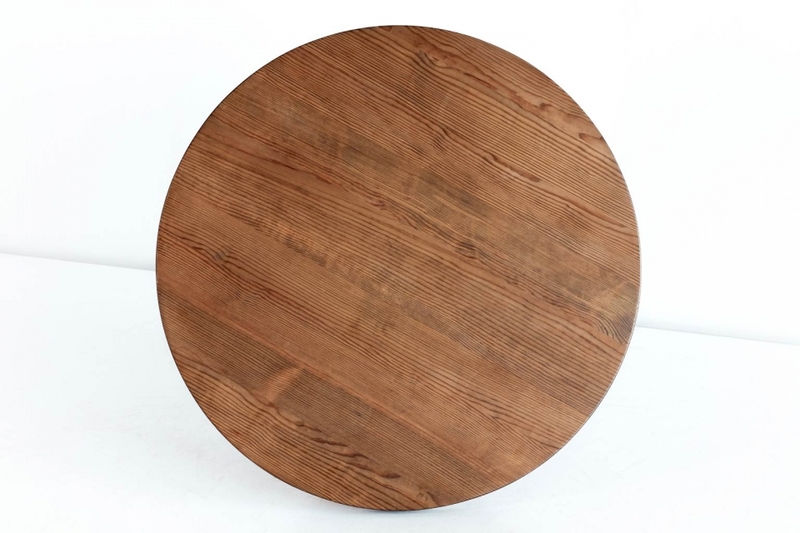 Made of solid pine, the round top is resting on three cleverly constructed legs that meet up in the center. Beautifully patinated over time, the striking wood grain shows a warm hue.